Loung Ung was the National Spokesperson for the "Campaign for a Landmine Free World," a program of the Vietnam Veterans of America Foundation, which was awarded the Nobel Peace Prize for co-founding the International Campaign to Ban Landmines. Ung lectures extensively, appears regularly in the media, and has made more than thirty trips back to Cambodia. 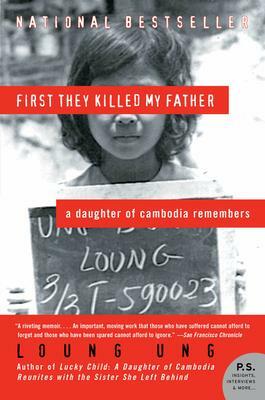 She is also the author of Lucky Child: A Daughter of Cambodia Reunites with the Sister She Left Behind and LuLu in the Sky.